Baby it's cold outside! With 18+ inches of snow and temperatures way below zero (fyi ... my freezer is warmer at -2°F) we've closed up shop and I'm passing the day with tea, glances into the garden, and garden daydreams. Winter gardens are carried by their structure. It becomes the most important element in winter when the trees have shed their leaves and their isn't a bloom in sight. And, it becomes the backdrop for the spring, summer and fall show. Certainly my garden has structure and winter interest. 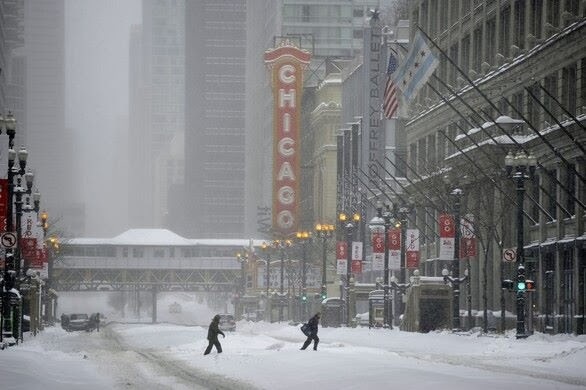 But who can have winter interest with 18+ inches of snow and -15°F temperatures? 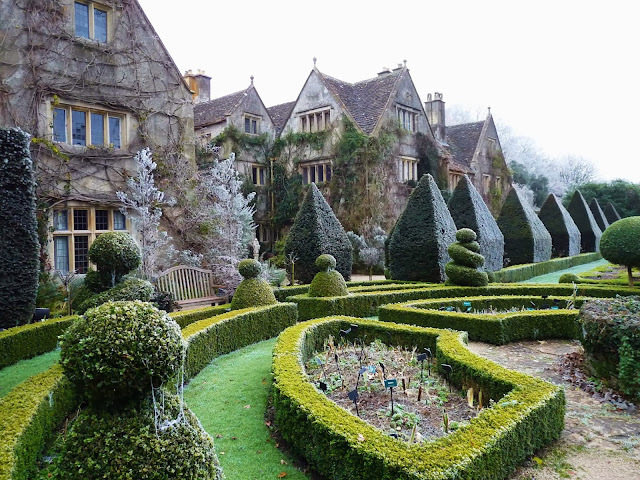 This leaves me daydreaming of gardens. 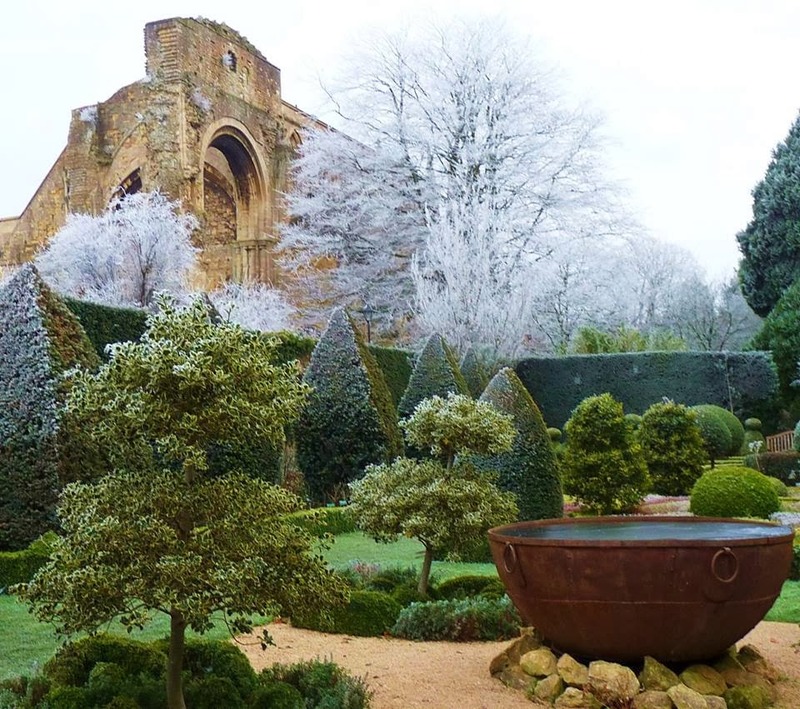 Looking at Malmesbury Abbey Gardens in winter, devoid of foliage and flower and kissed with frost, demonstrates how important structure and repetition are to a garden. Above. Repetition of pattern and form creates drama and visual appeal even without leaf or bloom. The view out the windows must be amazing and the serenity of the space is calling. Who wouldn't enjoy a winter stroll through this garden? Above. The copper cauldron is a great focal point and becomes a work of art in the garden. I wonder if the local wildlife uses it as a bath? Above. 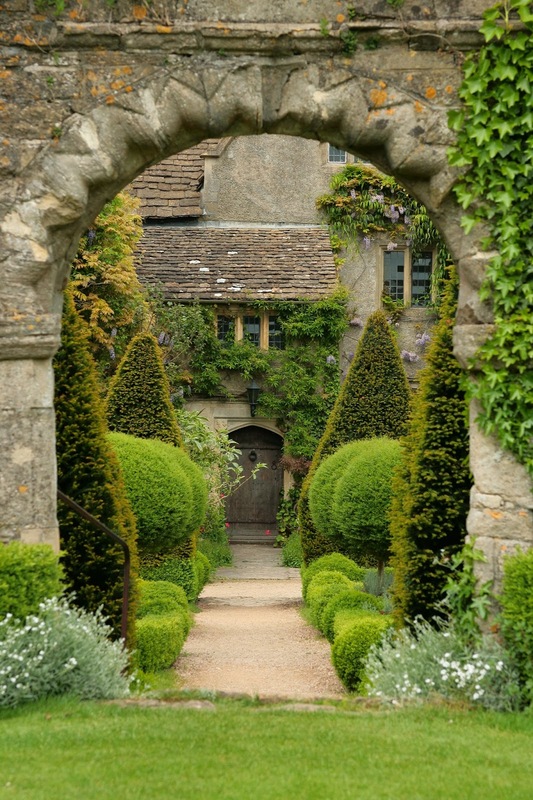 The arched entrance to the door and the symmetrical plantings behind invite you in. I wonder what's behind the door?